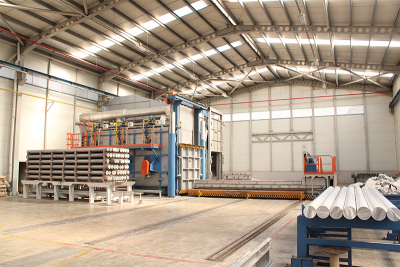 Our Aluminum Billet production facility, which was incorporated in 2011, produces 35,000 tons of billet annually. 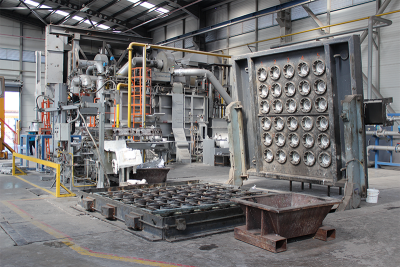 Our foundry has a closed area of 2,500 m² and all crane is available. 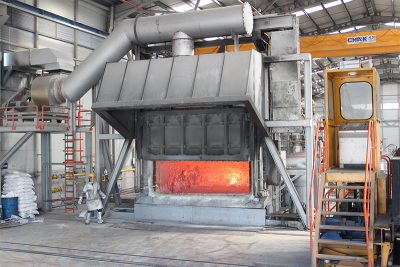 In the foundry melting furnace, homogenization furnace, cooling cabins are available. In the process stage, the homogenizing furnace with the latest technology and the cooling cabinet are made automatically by the feeding and unloading drum trolley. Melting process in the foundry, alloying, degassing, filtration, casting, length cutting, homogenization, cooling and packaging continues. The billets produced in our foundry; The lengths of 127" , 152" , 178" , 203) are max. In order to obtain the desired quality in our billets, spectral analyzes and controls are made in the spectrometer device by taking samples of the molten metal and the billet after the casting. After homogenization; shell thickness measurement, micro structure control, segregation and grain boundary analysis are performed.